OK, I know what you are thinking.. Pasta with mole??? really? Yes, REALLY. 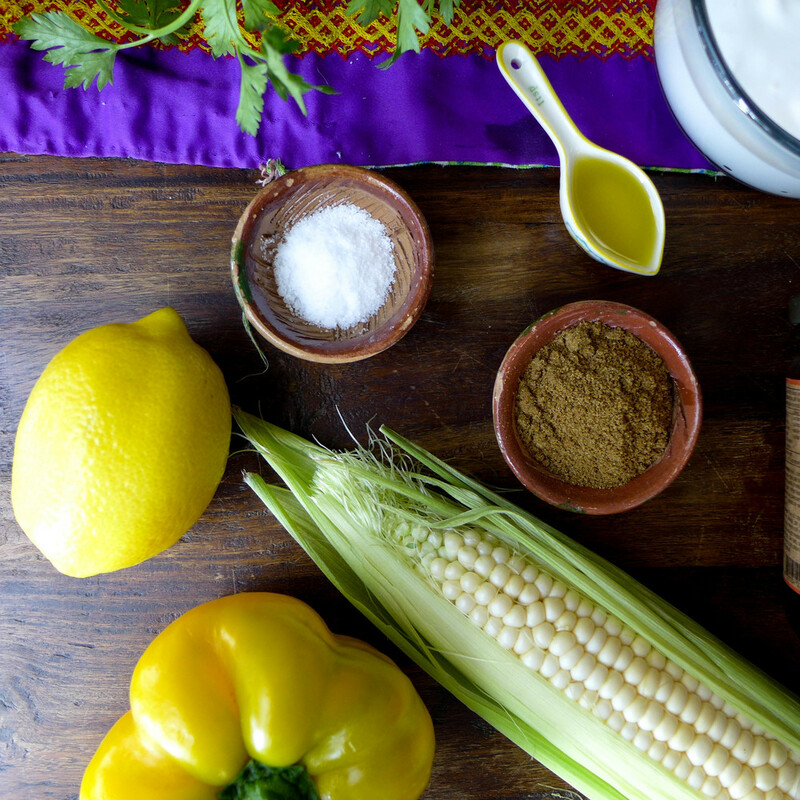 My family and I bring a killer mole paste from Oaxaca, that aside from making the best mole ever, it can be used for many other different recipes. Paola and I have made it our mission in life to create a series of alternative mole recipes and make extra use of that mole jar in my pantry, because as much as I love mole, from time to time I want to be able to make more than just the traditional pollo con mole or mole enchiladas. 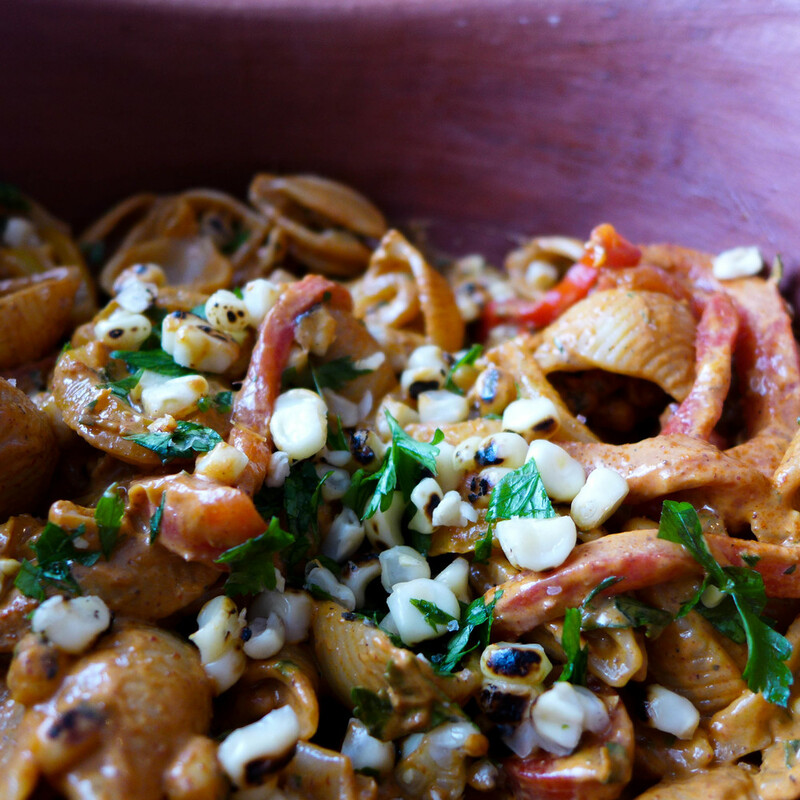 This pasta recipe is a spin off from a pasta my mama makes with a variety of spices. She usually adds cooked shrimp to and serves it cold. Again, perfect to take to the office or picnic on a hot day. I hope all of you enjoy! Heat a large pot of water and bring to a boil, add about 1 teaspoon of salt. 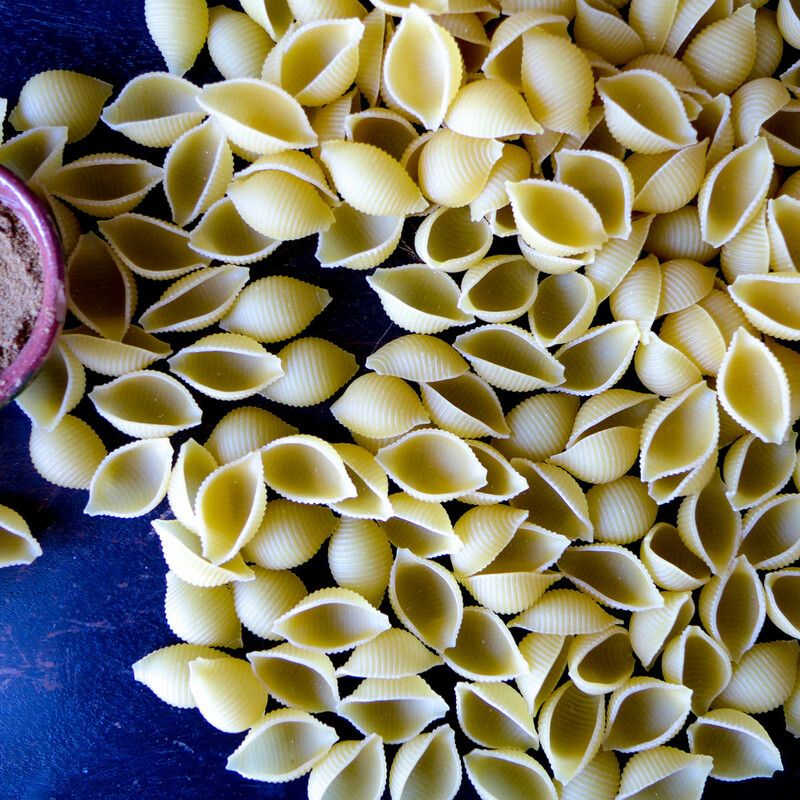 Once the pasta water is boiling, add the pasta to the pot and cook until al dente. Strain and place into serving bowl. To prepare the corn and the bell peppers- place corn and bell peppers directly onto the flame, turning constantly until slightly charred on all sides, about 5-7 minutes. Put bell peppers in a medium bowl and cover for a few minutes to steam, this will make peeling the skin off easy. Uncover until cool to handle, remove most of the skin. Cut peppers lengthwise, julienne style. 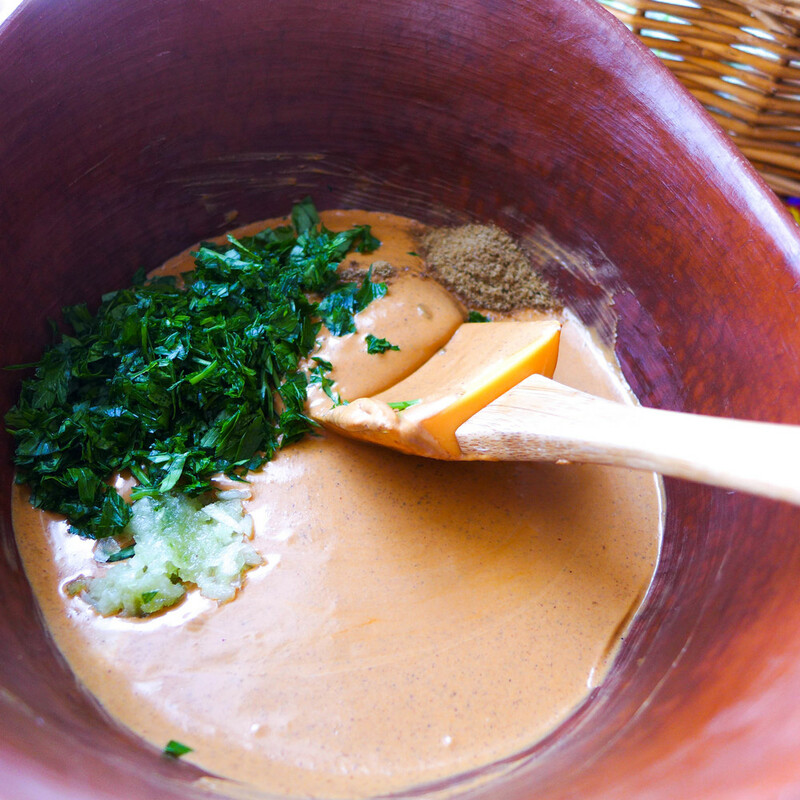 To make the Mole Coloradito Dressing - Mix all the ingredients and stir to combine. Add to pasta and adjust seasonings. Posted on June 3, 2014 by Bricia Lopez and filed under recipes and tagged Pasta Con Mole Entrees.